Conditions are most often expressed in subordinate clauses beginning with the word if. In the following examples, the word if is printed in bold type. e.g. If it had rained yesterday, we would have stayed at home. The condition contained in this sentence is expressed in the subordinate clause if it had rained yesterday. Sometimes the word if is omitted from a subordinate clause expressing a condition. When the word if is omitted, the verb (in the case of the Simple tenses of to be), or the first auxiliary, must be placed before the subject. The following pairs of sentences illustrate the change in word order which occurs when the word if is omitted from a clause expressing a condition. In these examples, the verbs of the subordinate clauses are underlined. e.g. If I were braver, I would challenge him. Were I braver, I would challenge him. If they had been expecting us, they would have arranged to meet us. Had they been expecting us, they would have arranged to meet us. If I had not received your message, I would have left. Had I not received your message, I would have left. As well as being expressed in subordinate clauses beginning with the word if, conditions may also be expressed in subordinate clauses beginning with the word unless. e.g. Unless he were a giant, he would not be able to see over the wall. Either the Indicative Mood or the Subjunctive Mood can be used to express a condition. In the case of a condition which is considered true or probable, the Indicative Mood is used. e.g. If she is here now, we will ask her opinion. In this example, the verb is is in the Simple Present Indicative. The use of the Simple Present Indicative indicates that the condition if she is here now is considered to be probable. In the case of a condition which is considered false or improbable, the Subjunctive Mood is used. e.g. If she were here now, we would ask her opinion. In this example, the verb were is in the Simple Past Subjunctive. The use of the Simple Past Subjunctive indicates that the condition if she were here now is considered to be false or improbable. When a sentence contains a condition which is considered false or improbable, the verb in the main clause is usually in the Simple or Perfect conjugation with the auxiliary would. In a sentence containing a false or improbable condition, if the main clause refers to present or future time, the Simple conjugation with the auxiliary would is usually used. In the following examples, the verbs in the Simple conjugation with would are underlined. e.g. If he were ready, I would accompany him. If she came, I would lend her my bicycle. In these examples, the use of the Simple conjugation with would indicates that the main clauses I would accompany him and I would lend her my bicycle refer to present or future time. In the case of a continuous, ongoing action, the Continuous conjugation with would may be used. In the following examples, the verbs in the Continuous conjugation with would are underlined. e.g. If they were here, he would be speaking to them now. If they arrived tomorrow, he would be giving them a tour of the city. In a sentence containing a false or improbable condition, if the main clause refers to past time, the Perfect conjugation with the auxiliary would is usually used. In the following example, the verb in the Perfect conjugation with would is underlined. e.g. If it had snowed, I would have skied in the park. In this example, the use of the Perfect conjugation with would indicates that the main clause I would have skied in the park refers to past time. The use of the Perfect conjugation with would, combined with the use of the Past Perfect in the subordinate clause, indicates that the condition it had snowed is false, and that the action of skiing did not take place. In the case of a continuous, ongoing action, the Perfect Continuous conjugation with would may be used. In the following example, the verb in the Perfect Continuous conjugation with would is underlined. e.g. If they had been here, he would have been speaking to them. 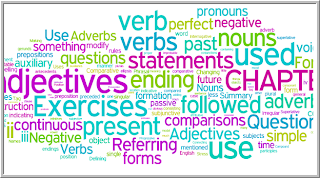 The forms of the verb most commonly used in the main clauses of sentences containing false or improbable conditions are summarized in the following table. e.g. If you started now, you would arrive on time. e.g. If you had started yesterday, you would have arrived on time. It should be noted that the auxiliary could can be used in either the main clause or the subordinate clause of a sentence containing a false or improbable condition. The first pair of examples illustrates the use of the auxiliary could in the main clause. The second pair of examples illustrates the use of the auxiliary could in the subordinate clause. e.g. If they studied hard, they could pass the exam next year. If they had studied hard, they could have passed the exam last year. If you could see me now, you would not recognize me. If you could have seen me yesterday, you would not have recognized me. In these examples, the verbs could pass and could see are in the Simple conjugation with could; and the verbs could have passed and could have seen are in the Perfect conjugation with could. As illustrated in these examples, the Simple conjugation with could may be used to refer to present or future time; whereas the Perfect conjugation with could may be used to refer to past time. In a sentence containing a false or improbable condition, if the subordinate clause refers to present or future time, the Simple Past Subjunctive is usually used. 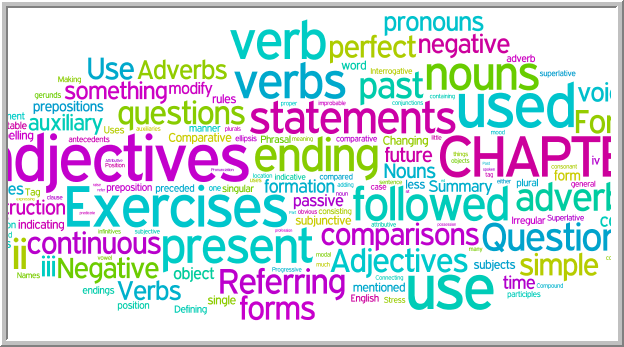 In the following examples, the verbs in the Simple Past Subjunctive are underlined. e.g. If it snowed, I would ski in the park. If he were here, I would give him the books. In these examples, the use of the Simple Past Subjunctive indicates that the subordinate clauses if it snowed and if he were here refer to present or future time. In the case of a continuous, ongoing action, the Past Continuous Subjunctive may be used. In the following example, the verb in the Past Continuous Subjunctive is underlined. If she were staying here now, I would let her ride my horse. It should be noted that, in the case of the verb to be, in informal English, the Simple Past Indicative is often used instead of the Simple Past Subjunctive. For instance, the following pair of examples shows how the same idea might be expressed in formal and informal English. Formal: If he were here now, I would give him the books. Informal: If he was here now, I would give him the books. It should be observed that, even when the Indicative is used instead of the Subjunctive, the use of a past tense for an action pertaining to present time, combined with the use of the conjugation with would in the main clause, is enough to indicate clearly that the condition expressed is considered false or improbable. However, this use of was instead of were is considered grammatically incorrect in formal English. In a sentence containing a false or improbable condition, if the subordinate clause refers to past time, the Past Perfect Subjunctive is usually used. In the following example, the verb in the Past Perfect Subjunctive is underlined. e.g. If he had wanted to come, he would have called us. In this example, the use of the Past Perfect Subjunctive indicates that the subordinate clause if he had wanted to come refers to past time. The use of the Past Perfect Subjunctive also indicates that the condition he had wanted to come is false. In the case of a continuous, ongoing action, the Past Perfect Continuous Subjunctive may be used. In the following example, the verb in the Past Perfect Continuous Subjunctive is underlined. e.g. If it had been raining yesterday, I would have taken my umbrella. The forms of the Subjunctive most commonly used in subordinate clauses expressing false or improbable conditions are summarized in the following table. A statement containing a probable condition can be changed into a statement containing an improbable condition, by changing the forms of the verbs. For instance, in each of the following pairs of examples, the first statement contains a probable condition; whereas the second statement contains an improbable condition. The verbs in the subordinate clauses and main clauses are underlined. Probable: If he is here now, we will give him the book. Improbable: If he were here now, we would give him the book. Probable: If I have time tonight, I will help you with your homework. Improbable: If I had time tonight, I would help you with your homework. In these examples, he is here now and I have time tonight express probable conditions; whereas he were here now and I had time tonight express improbable conditions. These examples illustrate how, when referring to non-continuous actions in present or future time, a statement containing a probable condition can be changed into a statement containing an improbable condition. The verb in the subordinate clause is changed from the Simple Present Indicative to the Simple Past Subjunctive; and the verb in the main clause is changed from the Simple Future to the Simple conjugation with would. It is sometimes said that when a verb is in the Indicative Mood, the use of a past tense indicates remoteness in terms of time; however, when a verb is in the Subjunctive Mood, the use of a past tense indicates remoteness in terms of probability.